The biggest challenge creating an interesting short film or video online is to use music that you have the rights to, and that isn’t a cookie cutter clip from a stock music site. 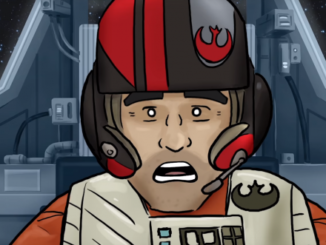 And even if you find a clip that will work, odds are, you’ve heard it before on another video! That can be maddening. 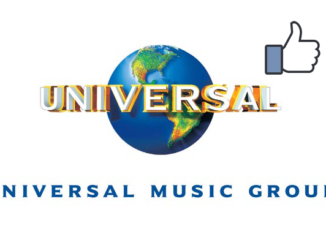 That’s where the music site Filmstro is different, because not only do they have a wide variety of music clips, but now, they’re offering 1,000 free music clips for use on YouTube, even if your account is monetized. The thing I like about Filmstro, is that that users can take a musical clip, and customize it to match the tone and feel of the scene the director is trying to score. 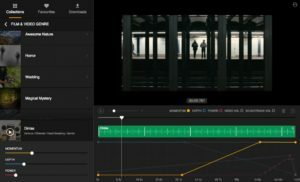 Users can use the Filmstro plugin in either Adobe Premiere Pro or Apple Final Cut Pro, and select your music from a catalog of thousands of options. Then, you can use their customizing sliders to adjust the tempo, depth, and power of the clip to dial it in to just the right vibe for the scene. There’s even a mobile app which enables mobile filmmakers to add music to their on the go videos. It’s a very clever service. And now, it’s gotten even better with Filmstro giving away over 1,000 music clips to filmmakers to use on YouTube, even if their channels are monetized. There is a catch however. 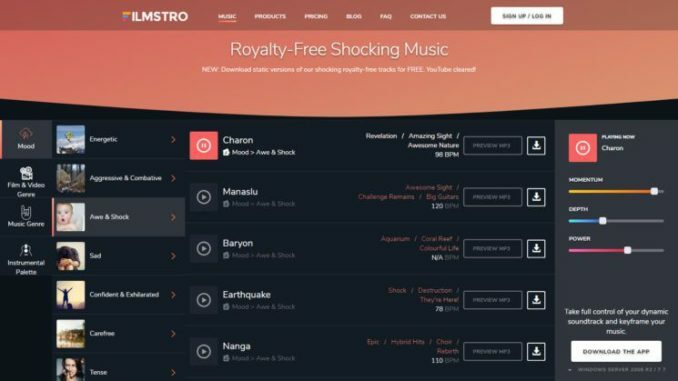 Other money making options including wedding videos, commercial ads, in app purchases, and other ancillary revenue generation where the music could be used to generate an income are not permitted without paying for a standard Filmstro license. What I find interesting though, is that YouTubers can continue to make money using Adsense, but Vimeo on Demand is excluded. Filmstro has several paid plans as well, starting at $9.99 a month for the basic plan. 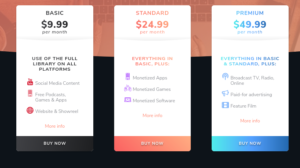 Each plan offers a wider range of licensing options, and if a 30 day trial is available at $14.99, which gives you access to the entire catalog. The license levels are broken down between personal, freelance and even studio level options, and if you’re going to be making money off your video, you’re going to want to go with at least the Freelance level, as the personal option is more for social media, vlogging and that sort of thing. Filmstro can go all the way up to broadcast and theatrical release options as well. That is a huge number of options with which to harness the power of Filmstro’s catalog of music and still make a few bucks on the side. I applaud Filmstro in giving YouTubers the ability to create some fresh musical backgrounds for their videos, without running afoul of the video streaming portal’s draconian copyright algorithms. For more information on their new freemium offerings, or to subscribe to the service, visit Filmstro.com.